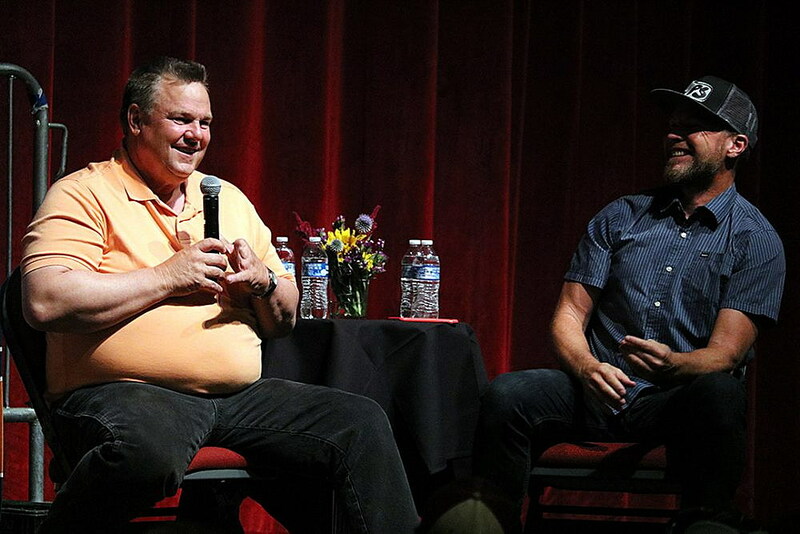 From the “Big Sandy vibe” to haircuts, farming and social justice, Sen. Jon Tester and Pearl Jam bassist Jeff Ament indulged in a live chat Sunday emceed by Mayor John Engen. 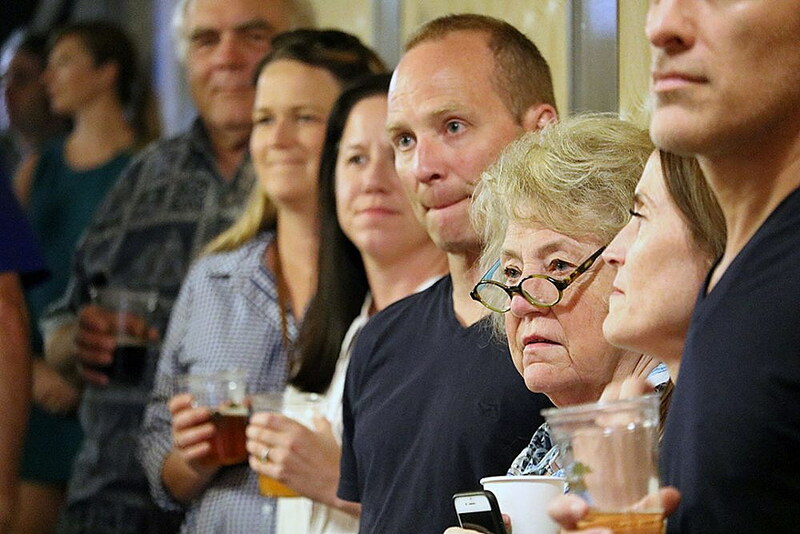 While the 30-minute conversations before a crowd of 800 people saw the mayor take up the guitar and sing a three-key ode to “flattop” and “six more years,” the discourse steered clear of politics. Rather, it landed on the lighter issues ranging from Pearl Jam’s induction into the Rock ‘n’ Roll Hall of Fame to how Tester ended up with a flattop haircut. Along with his shortage of fingers, it’s become one of his trademarks. As for the hair, Tester said, it came courtesy of Ament’s father, George. Tester said he was due for a fresh haircut, to which Engen agreed. Tester and Ament said they met in Big Sandy back in their school days, with Tester refereeing several of Ament’s fifth-grade basketball games. They both attended the University of Montana, and both held a fascination with music. Ament would later make a career of it. With Ament on the bass, Pearl Jam was recently inducted into the Rock ‘n’ Roll Hall of Fame. While the years have flown by, Ament didn’t expect to still be playing in a band at the age of 55. The group endured hard times, he said, but emerged as better friends and better musicians. Other lessons came with it, Ament added. While Ament pursued a career in music, Tester went into politics. He started on the Big Sandy School Board and was first elected to the Montana Legislature in 1998. In 2006, he topped incumbent U.S. Sen. Conrad Burns and is now seeking his third term in office this November. Serving in Washington, he said, is his way of giving back. Tester and Ament both stated a desire to represent the voiceless. Ament said playing in a world-renowned band has put Pearl Jam in touch with the struggles and desperation some face in their everyday lives. Their music, he said, reflects that. Tester said he, too, works for the people. The full 33 minute live stream can be viewed on the Missoula Current’s Facebook page.